The Rock Church Worship Team is a very humble group of excellent musicians who are not only very talented but passionate for God, and His wonderful presence! They are called and anointed to bring the presence of the Holy Spirit into every service! 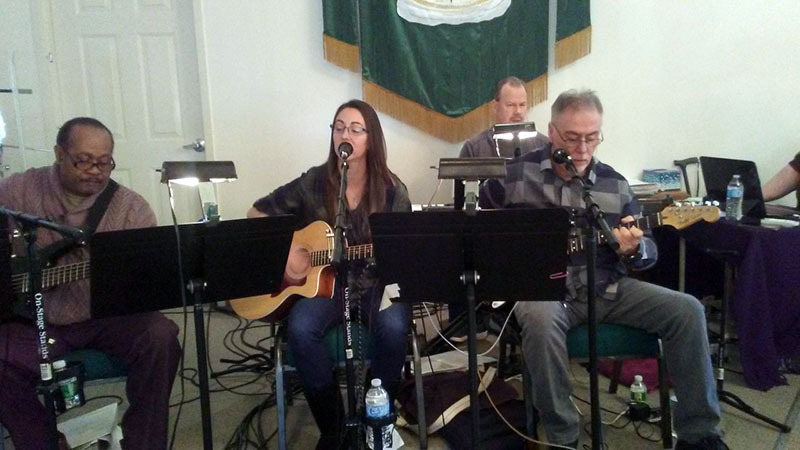 We are so blessed to have these humble servants leading our time of praise and worship! 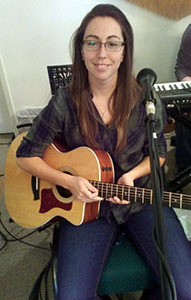 Acoustic Guitar Player: Jackie Morrow is the co-leader of the worship team. She is much anointed to play, sing and bring the presence of the Holy Spirit into our services! With her beautiful voice and gifted guitar playing, she leads our congregation into a holy time of praise and worship before our Father in Heaven! We are so blessed to have her here! Jackie has followed her father, Jack, in several ways. 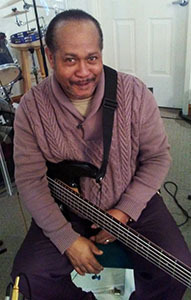 Not only has it been with the guitar, but also working at Chemours (formally DuPont Industries.) Jackie is very athletic and has starred in softball and basketball during her High School and College years. She currently coaches girl’s softball and basketball at Penns Grove HS. Jackie has MBA in Marketing Mgt. from Wilmington University, a degree in Youth Ministry and Bible Studies at the Philadelphia Biblical University and an Associate Degree in Education at Rowan University. God has really blessed us with her! 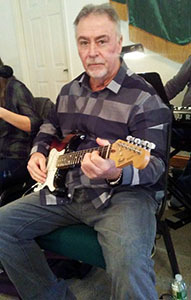 Lead Electric Guitar Player: Jack Morrow is an accomplished guitar player who loves our Lord Jesus, and is passionate for the presence of the Holy Spirit! Not only is he a great guitar player, but a wonderful singer & songwriter also! Jack lives in Carney’s Point with his wife Donna, and they’ve raised three great children, Jack, Jackie and Shawn and have one grandchild, Shawn Jr. Jack is retired from a long career at DuPont Industries, and is enjoying his retirement very much. He is dedicated and faithful to his Lord Jesus Christ, his wife, kids and the Rock Church! His talent is matched by his desire to please God and live a holy humble life for our Lord Jesus! 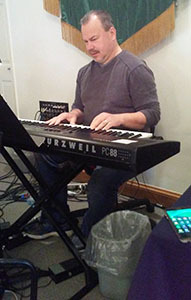 We are grateful and blessed to have him at the Rock and on the Worship Team! Our Purpose: To Bring People Into A Loving Relationship With Jesus Christ And His Church, Teaching Them To Be Fully Mature Disciples Who Share The Gospel With All People So That God Is Glorified.